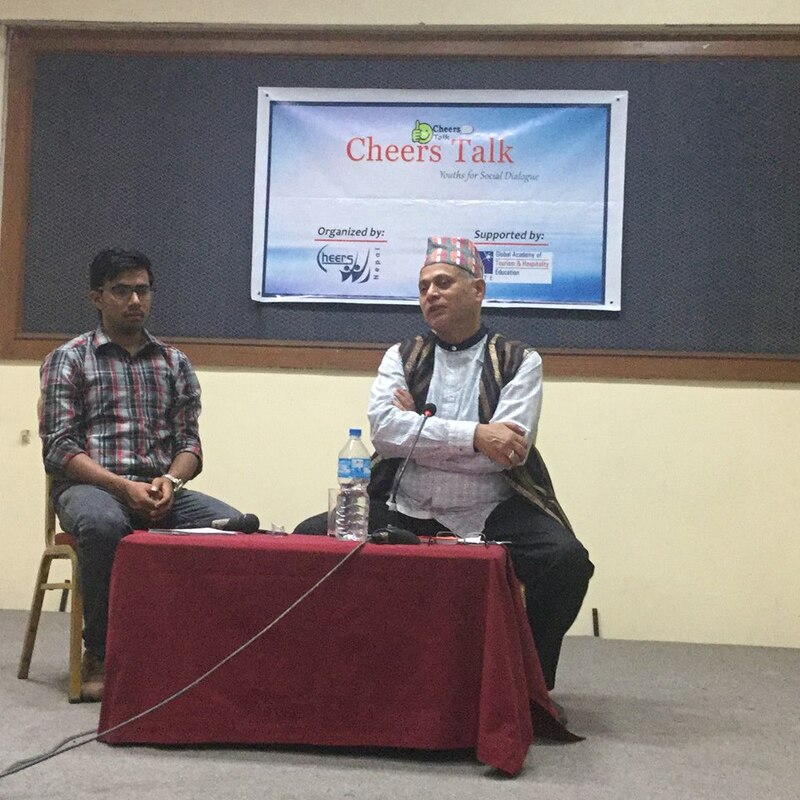 Last Saturday, Cheers Nepal, a youth organization for social transformation organized 36th session of the popular interaction programme, Cheers Talk, with Subodh Raj Pyakurel as the special guest to talk on social inclusion system in Nepal. The programme comprised of two main sessions. Paper presentation, the first session discussed on what social inclusion means, the necessity of social inclusion in Nepal and examples of social inclusion in other countries. The paper mentioned that the social inclusion implies to the equal sharing power, resources and opportunities to individuals from all the classes in society. “Social inclusion can also be considered as a ladder to uplift the status of the lower strata of people. And, it first came into existence only in 1980s in France”, said the presenter of the paper. The paper mentioned that quota system, proportional representation, empowerment and positive discrimination are the four types of social inclusion. “The only purpose of social inclusion is to reduce the gulf between the majority and minority class of people in the society. 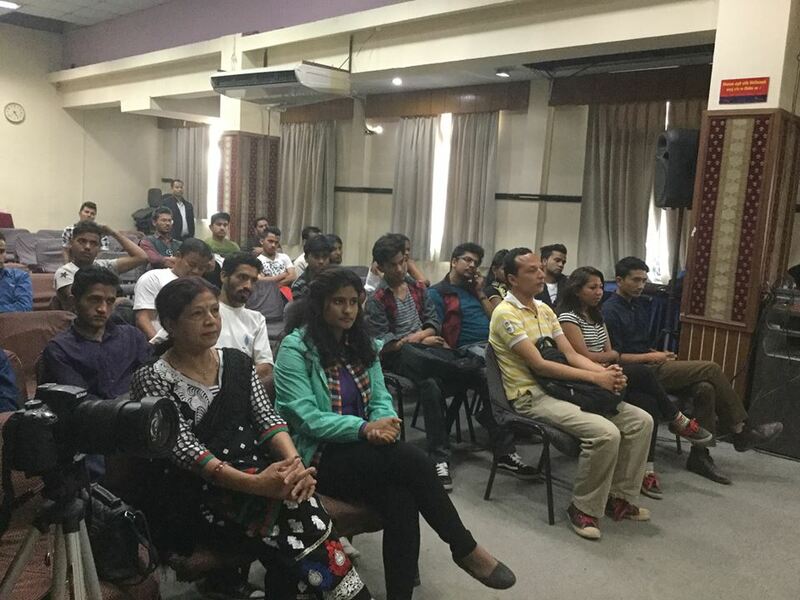 It further helps instill the feeling of belongingness towards the state to those people who are not given opportunities and equal access to the state resources by the state”, said the presenter. He further mentioned that social inclusion needs to be transparent, needs to reach the targeted class and the genuine disadvantaged people should be able to avail the privilege of social inclusion and government should be more accountable towards these people. The second session was the interaction programme with Subodh Raj Pyakurel, chairman of Informal Sector Service Center (INSEC) and a human right activist. He started the session saying that we all need to say ‘I am the state’ and it’s ourselves who have the capacity to take the nation in the way we want. 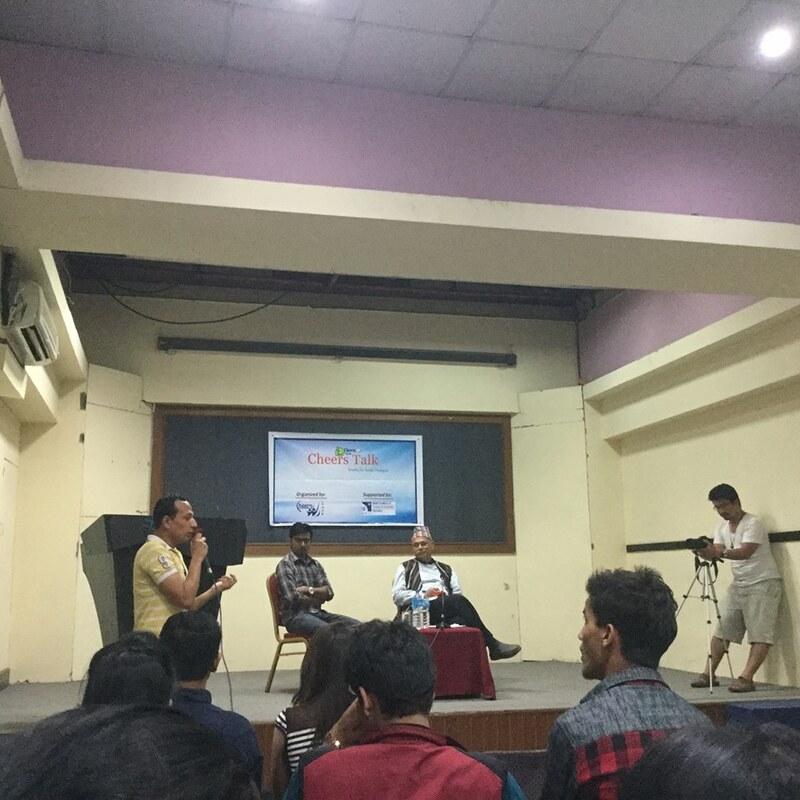 He explained how the society was in earlier time and in what way caste-based discrimination was prevalent in Nepal then and the current social inclusion culture in Nepal. “The reservation system ongoing in Nepal is still vague. We need to have a transparent mechanism on how social inclusion should function and who should get benefited from the system. The reservation system should now be Human Development Index (HDI) based, not only the caste or other such category based”, said he. Talking amidst the one-hour long session, he further said that the reservation should help the capacity development of every individual from an underprivileged group. 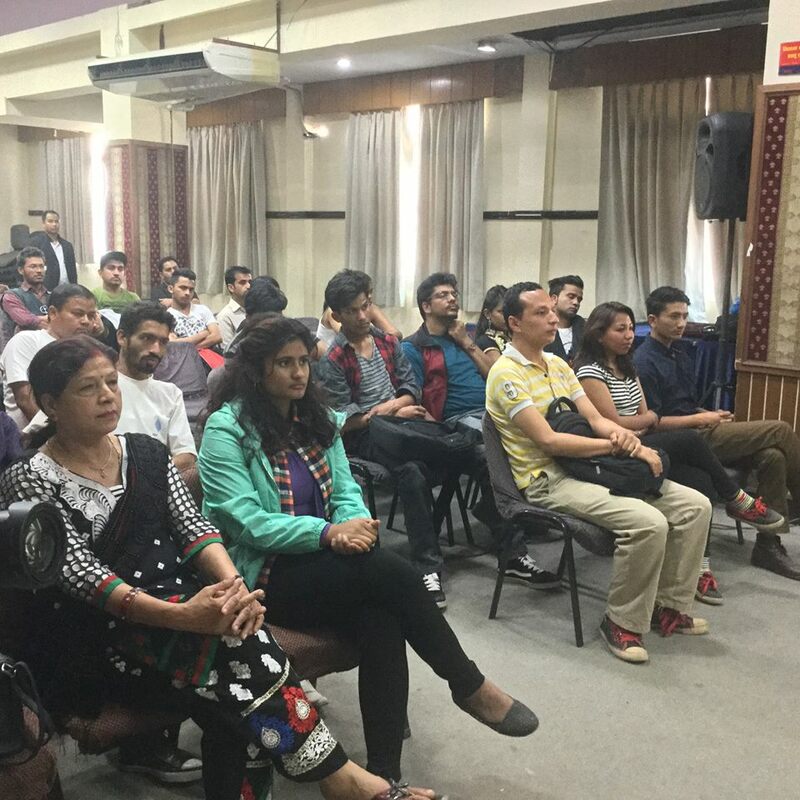 Problems have been arising in Nepal for the topic of inclusiveness being misinterpreted. “State should make social inclusion in such a way that material, scientific and intellectual productivity of every individual would be optimally reaped and only the real and targeted people get benefited from the mechanism”, he opined. In the present context when there are discussions on whether the social inclusion is really necessary or not, he said we need to advocate for real inclusiveness that corrects the culture of discrimination prevalent in Nepali society. Talking amidst the closing of the programme by felicitating the speaker with token of love, Dinesh Thapa, vice-chairperson of the organization said that they are glad to see youths today actively interacting in such issues and informed that they will be back with similar such sessions very soon.